From the depths of the darkest dungeon, we have uncovered a priceless collectible! 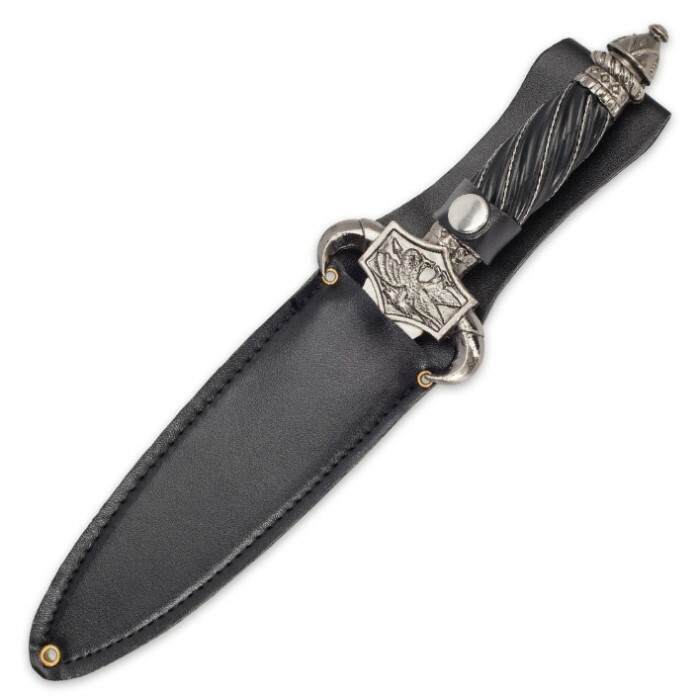 The 7 1/4" blade is constructed from 420 stainless steel and features unique double bladed design. 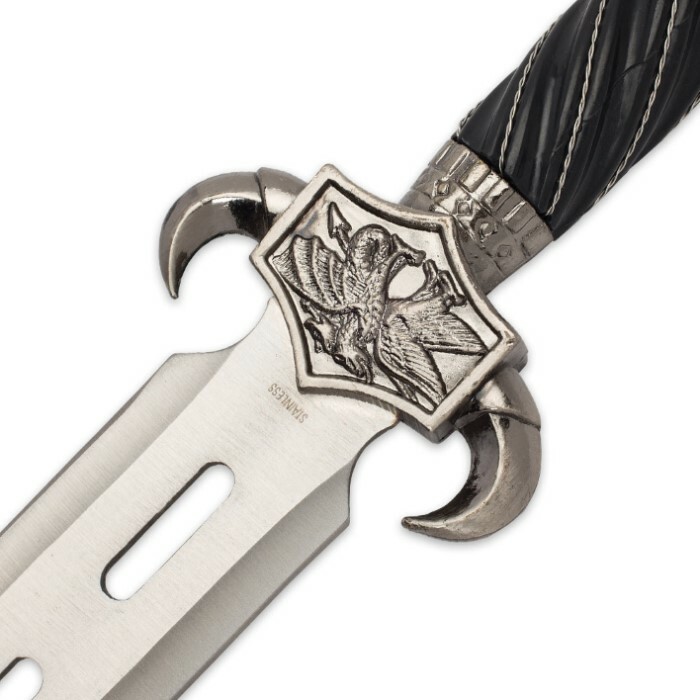 The black handle features a cast metal pommel and tang guard sculpted as outstretched dragon talons. 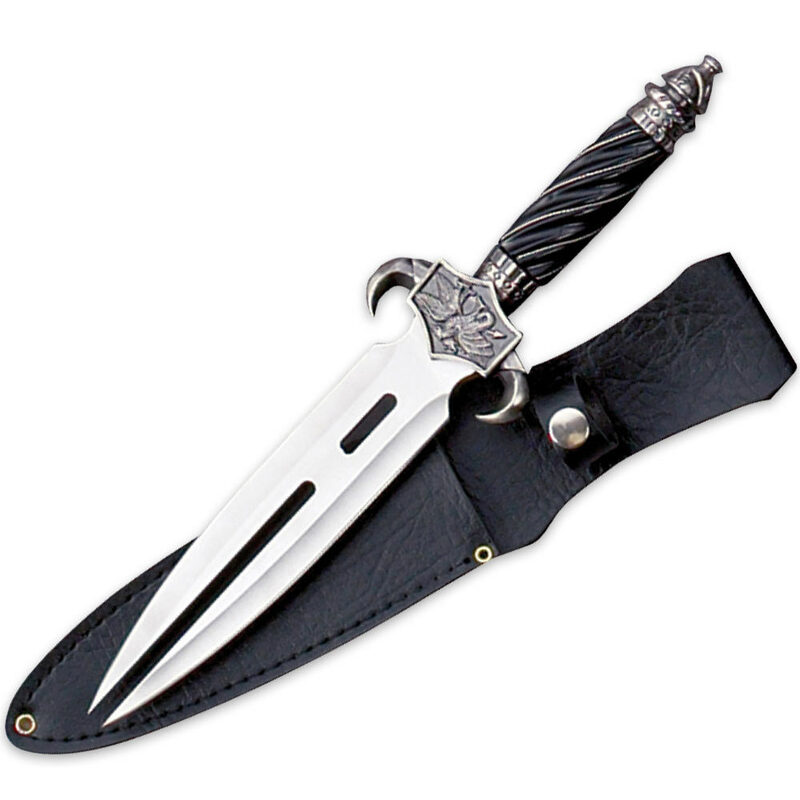 Includes classic sheath. 12 1/2" overall. I love the design and overall look of it, I bought it for display and I am not too happy. One of the sides of the dagger are bent out of shape and setting the whole dagger off in its symmetry. Sheath pretty good, I modified it to be more sturdy. Overall solid and sharp. Not bad for the price at all. Seems to be made well, solid, nothing loose. Blade edges decently sharp but needs a bit more sharpening. Sheath not the best, but can't expect much more for the price.